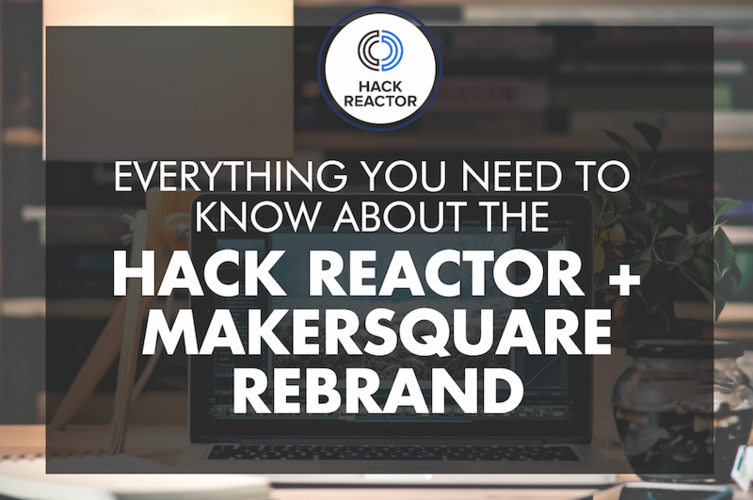 As of 11/1/16, Hack Reactor has unified its network of schools, including MakerSquare and Telegraph Academy, under the Hack Reactor brand. The Hack Reactor network of schools are now Hack Reactor Austin, Hack Reactor Los Angeles, Hack Reactor San Francisco, Hack Reactor New York City, and Hack Reactor Remote. If you graduated from Telegraph Academy prior to October 2016, please leave your review for Telegraph Academy. Otherwise, please leave your review for Hack Reactor. Hack Reactor Course Report page. Hardest and Most Rewarding experience of my life. Hey there! As of 11/1/16 Telegraph Academy is now Hack Reactor. If you graduated from Telegraph Academy prior to October 2016, Please leave your review for Telegraph Academy. Otherwise, please leave your review for Hack Reactor. Transformative experience. An organization which is also a family. The curriculum was poignant but pretty grueling. The instructors were amazing. They were prepared, informed and genuinely invested in our success. Once a week there was a moment where I was overwhelmed and wanted to quit but there was always someone from the support staff ready and willing to listen to my ravings and grievances. Truly he hardest but most rewarding experience of my life. I started from being incredibly uncomfortable with high level concepts to building software myself without worry. Anyone looking to take the plunge into tech I highly recommend TGA. Today im graduating from Telegraph Academy and the last three months have been very intense a lot of long hours and hard work I have accomplish my goal of being a software engineer. My experience at TGA was great even though there were rough moments, but the staff did a great job at making sure they kept me focus so I could accomplish all my goals. The staff is genuinely wants all of its students to succeed and they really do their part to make sure that you are successfull. The most value skill I learn while at TGA was learning how to learn. I now have the confidence that I can learn anything. The community and support was the second most value thing I gained. I know I have a group of individuals that are supportive and always willing to help each other. Attending Telegraph Academy was a great overall experience. The program was recommended to me by my current employer as an opportunity to start my career in the field of web development. It is explicitly stated from the start that the program does not guarantee a job and is designed to turn their students into autonomous engineers. Help is given sparingly from support staff to encourage self-discovery and student-to-student interaction. So don't expect them to show you how to be an engineer, you have the fight your way through your own battles. Working through your own bugs and articulating your work to others is sometimes painful, but part of the learning experience. Some criticism of the program is its design to give minimal feedback, which is a method of teaching that is unconventional. I would like to have been given more feedback/code review during my enrollment. Also I would point out that credit for the positive experience is largely due to the amazing colleagues that were selected to be in my cohort and the staff, which created an light-hearted yet professional atmosphere where everyone was constantly improving themselves. Since graduating Telegraph Academy, I am now working as a full-stack engineer and have used every skill that was taught in the course in order to create apps that benefit those in my company. It is truly rewarding to have the skill-set to change people's perspectives about their day-to-day work experience. Thank you TGA. I would recommend this course to someone who is serious about starting a web development career and is prepared to persevere through challenges, day in and day out. This school has provided me what can most simply be described as 'The Best Educational Experience Of My Life'. I found out about Telegraph Academy in July of 2015 and saw it as an opportunity to change my life. I had always been on computers alot, loved critical thinking and problem solving, but had absolutely no experience coding. This raving 5 star review really doesnt mean anything without reasons, luckily, TGA provides plenty. I'll address my personal experience with each of the categories reviewed. Instructors: The Instructors are who really made the experience for me. I had the privelege to be taught by Jamil Lawrence, and Claire Bendersky for my junior half and Marc Christophe for the senior. They each brought a unique past, skillset and perspective but shared this energy of loving to teach and a great sense of humor. Claire brought a 'You-Can-Do-This' attitude to every lesson that made the material seem far less intimidating. Jamil loves to teach, it's clear as day, and he's good at it. Many times as both a junior and senior I would be losing my mind, patience, lunch, all of it, over a problem and he would actully stop what he was doing, work THROUGH the problem with me and then drop some engineering proverb for me to chew on through my cooldown("Improve yourself 1% everyday, thats how greatness is achieved"). Marc fosters the process of becoming an autonomous engineer with thoughtful council during application development. Marc's experience provides insight into many problems engineers face in and out of TGA, also, Marc is hilarious. Job Assistance: I am 8 weeks into my job hunt and I am shocked at the level of support provided by TGA. To be transparent, I am making a very difficult transition. I have a very weak working history with no technichal experience and no formal education to speak of. Anyone who has been on a Job Search will tell you it takes a mental toll on you. My Outcomes (Post-Graduation) correspondent Mo Akinde is so unrestrained in the effort she brings to helping students there is only one, obvious explanation: She loves helping people succeed. I really feel like she just WONT let me fail, period. I appreciate her frequent check-ins with me, helping me to schedule my time, and continuous iterative reviews to help me create a professional resume. Even as just an ear to listen to your Job Search woes, Mo is gonna try to help. Through this difficult process she has been and actively continues to be unbelievable. Overall Experience - I loved It. As a graduate I often actually find myself MISSING BOOTCAMP. 11+ hours a day, 6 days a week, THEY MADE ME MISS THAT?!?! Yes it's true. When at TGA, ask anyone around you about themself and prepare to be amazed. You'll encounter everything from Ivy League grads to folks like myself, Highly motivated, self-educated, self-starters. I can promise during your time @ TGA you will have a disagreement with a classmate, its just the nature of working with people. The beautiful part about this is that while you may not agree with your classmate, their intellect is undeniable. I never felt like I was arguing with someone over a knowledge gap, only perspectives. The TGA community and the people it brings in are a welcoming bunch, enthusiastic about both tech and the mission to increase diversity in a laregly homogenous field of work. Albrey and Bianca are both extremely approachable by students and its clear they make it a point to be that way (they are easily busy enough NOT to be this way). I believe TGA is the greatest opportunity so far in my life and I'm eternally greatful to the staff and community for making the experience so fantastic. I am one of the first cohort graduates (my cohort ended on September 2015). Let me start by saying that I have a bachelors degree in Computer Engineer. At the moment I am a fulltime software engineer working at InRhythm. When i got out of college, I started looking for entry level positions. It was really hard to get one even tough I graduate with high GPA. (3.63). I was able to get offers for an intership which trains me for about 3 months and then I am hired fulltime for 2 years with a salary of 38k on the first year and 42k on the second year. A friend of mines recommended me to get into a bootcamp and I looked for many here in NY, and also in CA. TGA helped me on getting a loan that will pay the tuition to attend the bootcamp ( which otherwise I would never have get into one because is too expensive). To compare, I completed 3 semester in college in about 2 weeks at the bootcamp (we did data structures and algorithms on our first and second week). That blow my mind! After that second week I had no doubt that I have choosen a really good bootcamp and that I will learn a lot. We worked very hard every single day during our time at the bootcamp, and it was definitely worth it!. I learned a lot more than what I learned in school. Right after graduation, big companies such as Chase, Solar City, Slack,to name a few, started to contact me for an interview. It was an amazing feeling! The majority of my classmates from college are all working as entry level engineers or taking interships with salaries ranging from 25-50k, I am making ~90k plus bonus and I couldn't have done it without the help of Telegraph Academy. To summarize, I would NEVER regret attending TGA. It changed my life forever. It would have taken me years to get to the level where I am right now and all thanks to TGA. Thank you Albrey and Bianca. TGA helped me reach the goals ive been chasing for the last 10 years. It didn't take long to realize that community at the TGA's core - Co-founders and Instructors alike are deeply invested in building a tightly knit community of software engineers and problem solvers. TGA practices a very iterative approach to it mission of training software engineers and community building. In all, TGA and its growing community and network is at you disposal in achieving your goals and addressing you expectations in a path to becoming a competent Software Engineer. There are many things about my experience that was surprising to me. As an experience programmer, the prep course really helped me to up my game. It was always challenging but at the same time the curriculum was actually fun. I was never accustomed to pair programming but over the course of time I grew to prefer having someone else to think through the code challenges with. The overall culture is very friendly and supportive. The lectures were always engaging. They were able to demonstrate so eloquently and almost even 'melodically' the material so that we could fully grasp the concepts being taught. Sometimes I am amazed looking back how much I have learned in such a short period of time. I also noticed that they receive and hear the feedback so they can continually improve the quality of the program. So overall it very much exceeded my expectations. A Great Experience at Telegraph Academy! A person often asks themselves if a hefty investment in nontraditional learning is for them, especially when there's a large price tag attached and no guarantees that it will all pay off. That's really what taking a chance on something new and innovative, like Telegraph Academy is all about. I really felt that Telegraph Academy tried to take the worry about the unknown out of the picture as early as possible by allowing every applicant and student to ask questions and conveyed complete transparency and boundless support along the way throughout the course. My journey began in their prep program, I was fortunate enough to receive a scholarship to one of their prep programs with only prior HTML/CSS and SQL knowledge and it gave me the tools not only to succeed in the admissions interview to get into the school, but really opened my eyes to the vast sense of community that drives the core of what Telegraph Academy is trying to build. You are not just a student or a punched ticket meant to raise the hiring stats for the school at large as they continue to grow, but a member of their family and you feel it every day. After completing prep and getting accepted, I took the plunge and invested myself into what I considered to be a replacement for a Master's degree. I put my life into TGA's hands and have never looked back since. I feel like I finally control over my place as a competitive force in the job market with a highly marketable skillset. Would I recommend them to a friend? Definitely. Would I recommend them to a family member? Asolutely. You know all that you need to know when you step through their doors. They have one mission and that's to ensure your success as a software engineer. Following one of my interviews to get into Telegraph Academy, I asked a current student her opinion of the program. She told me that TgA was more difficult than giving birth to her child. True to her word, I've found going through the Telegraph Academy curriculm to be the most difficult thing I've ever done. It's also been one of the most fun, best experiences I've ever had, and in hindsight I would do it all over again. The curriculm is hard. I've spoken with a Boston University computer science graduate who attended TgA, and he agreed that it's hard. One of my classmates has more than 15 years of experience as a software engineer, he joined our class to learn new skills, and he says that the curriculm is hard. I spoke to a former US Marine who went through the program, and though he said the Marine Corps was more physically taxing, Telegraph Academy was more mentally challenging. I'm saying it's not an easy program to get through. But well worth it. 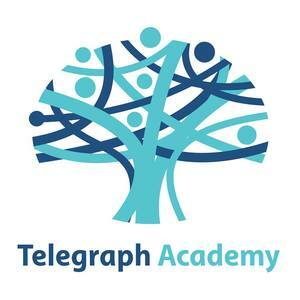 Telegraph Academy was founded by two Hack Reactor graduates, and the teaching staff is made up of TgA grads. Everyone on staff is amazing, patient, kind and knowledgable. I've found their assistance through this experience to be critical to my success, and have been repeatedly amazed at the support I've received throughout the program. Special thanks to the instruction team (Albrey, Bianca, Claire, Jamil, and Mark) as well as the support staff (Alan, Alex, Amora, and Mo). Every member of the TgA team contributed to my success in too many ways for me to count here. There are regular opportunities to give feedback to the staff on your experience, and I've seen some of the suggestions from my class being implemented for the one that followed. The instructors give feedback on your performance, which is very helpful in such a fast paced environment where you may feel like you aren't getting concepts. If the instructors feel you are falling behind, they let you know and help develop a plan for you to get back on track. But the ball is in your court; you have to do the work, and there is no hand holding. If you put in the time, you'll succeed. I would't recommend that everyone attend a program such as Telegraph Academy or Hack Reactor. The pace is stressful as all get out, and being in the same room with the same class of people 11 hours a day, 6 days a week (minimum) for 12 weeks isn't for everyone. But if someone were planning on attending an immersive program for software development, then I would highly recommend TgA. Despite being frustrating and exhausting, attending Telegraph Academy has been one of the best decisions of my life, and I don't regret it. 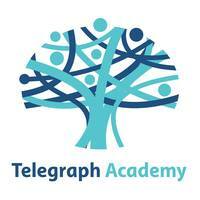 This a review for the 12-week immersive program at Telegraph Academy(TGA). I'm now working at Salesforce in San Francisco as a Front-end Software Engineer. I participated in the 2nd cohort at TGA. Prior to TGA, I had been self-teaching myself seriously for about 8 months. I also participated in the prep program, which I feel prepared me to take the most out of my experience during the 12-week program. The immersive program is not a walk in the park & will challenge you everyday. This program, without a doubt, helped accelerate my learning of not only web technologies, but also core foundational computer science concepts. I came in with solid front end development skills particular HTML5, CSS(Sass & preprocessors) & that definitely helped me during my interviews. I was fortunate to have interviews with many great & amazing companies such as Google, Uber, Salesforce, Electronic Arts & Man Crates, among many other places. Telegraph Academy & HackReactor Core network do have partner companies, however the majority of the job hunt it will be up to you to apply for jobs. The job hunt itself is another journey in & of itself. Exercise as much as you can before the program to prepare your mind & body because you will hardly have time do anything but code. For companies like Google & Uber you have to have to know a lot of data structures & algorithms which aren't covered in the program. During my job hunt & studied new topics as well. Patience, persistence, showing passion & conviction in the work you do, the way you carry yourself and making sure your resume is on point is key. I commuted 45 minutes forward & back everyday. Typical schedule for me wake up at 6am - come back at 9pm, some days way later. I learned a lot during this course. It's difficult to believe that you can learn so much during such a short period. The instructors were prepared and nice. I got accepted to the bootcamp thanks to prep+, moreover, I reallly enjoyed spending time with the great group of people that the students, TA's and teachers at Telegraph academy are. I love Telegraph Academy's boot camp prep class. There are many attributes to list but the first is the commitment the staff has toward your learning experience. It is obvious from day one, getting you ready for the Full Stack Web Dev boot camp of your choice is their top priority. The student to teacher ratio is 3 to 1. Three teachers/assistants to every one student. Next there's the materials. Every lecture is put into slide and video format so you can always go online and review any material you want to go over again. That is priceless especially when you need more time to process a particular concept than is available at the time it is being taught. Last and by no means least, the community. Assistance is available 24/7 via the school's slack channel. Not just teachers but students are able and willing to really help out and teach one another. Often study groups outside of class are formed and I made some really awesome friends here. This program is for the young budding software developer who wants to get their feet wet before deep diving into a full-blown dev school. The TGP+ team host a consortium of talented individuals, all knowledgeable and eager to provide professional guidance as you make your transition. This program will make you more confident in those fundamental topics you'll need for the rest of your computing career. Before completing this program, I did what we've all done; hack *blindly in the dark attempting to connect disparate programming concepts. The TGP+ program is meant to alleviate that struggle and provide some light to your path. The TGP+ team really cares about your progress and encourages self-paced growth all while utilizing team building strategies and discussions. This program is definitely a solid choice. Happy hacking. Great Place to "Learn by Doing"
Telegraph Academy staff and students are some of the most dedicated and hard-working people I know. The staff dedicates so much of their time and energy to help cultivate each cohort of autonomous, resourceful software engineers. The students, in turn, work tirelessly for 12+ hours/day for at least 3 months building software and learning as much as they can. For me, TGA was a great experience. I learned more in my time at TGA than I could have imagined, both technically and non-technically. It’s not for everyone though. I prefer to “learn by doing”, which means that I enjoy being thrown into challenges and then struggling to figure things out on my own, before someone tells me the answer. The learning style at TGA closely mirrors that. People who want the answers handed to them from the get-go will have a hard time adapting to the “learn by doing” style. Instructors: In the beginning of the program, it is stated very clearly that the instructors are there to help guide students, not to give students the answers when they get stuck. I think they do this well, in addition to making TGA a fun, welcoming place to be. Job Support: During the program, students have resume reviews, mock interviews, and practice whiteboard sessions. After the program ends, alumni have access to the job search resources at both TGA and HR. This includes additional mock interviews, resume reviews, etc., and access to the HR Core network of companies. Overall, this was one of the most challenging things I’ve ever done, and I would definitely do it again, given the chance. Best Prep Class Out There! The instructors are really on their game and are committed to your success. I know others took different prep classes and when we compared notes, I did not regret my decision! Telegraph Academy(TGA) is Spearheaded by the talents of Albrey Brown and Bianca Gandolfo. faculty and staff at TGA is full of great positive energy and what at times seems like infinite knowledge in both technical and non-technical fields. The staff does a great job a creating a stressful environment while helping students maintain their sanity all to promote as much growth as possible. Instructors: It is easy to misconstrue the purpose of the instruction and HiR team. Lectures would be held by our instructor, introducing us to a concept and student would then be released to work on a coding challenge that would make use of our new found knowledge. Help is available for students that would get stuck for long periods of time, but no 'answer' would be provided until the time allowed to work on the challenge had expired. Instructors and hackers in residence were present to ask clariying questions and guide student down a logical path. This is invaluable because just having someone there to give one the answer would just rob them of the opportunity to learn. Also no one is going to be sitting next to you on the job telling you how to solve all of the problems you encounter. "Tell me and I forget. Teach me and I remember. Involve me and I learn." Job Assistance: TGA has access to the Reactor Core network of hiring partners. Before getting to the job search however, you are required to work on your cover letter and resume, as well as online presence. All this is to get ensure that you can solely focus on applying and interviewing for position you are interested. As a graduate one would also has access to the outcomes and hiring team which is shared amound Reactor Core schools which will work with you until the end of time to ensure that you land at your dream company as well as help you with salary negotiations. Overall Experience: Amazing, I would do it again in a heartbeat. It is not for everyone however, I feel like a lot of people underestimate how challenging programs such as this one on are. If you are up for the challenge then I highly recommend giving it a shot! Before joining Telegraph Academy, I was in Chicago and had no coding experience. It was laughable by my family that I was thinking about moving 2400 miles away to go some school that would teach me how to code and make 6 figures in 12 weeks. What was even more laughable was that I was going to quit my job with a decent salary, empty my savings, and sell my belongings to do so. But I did it, and I would make the same decision if given a change to redo it. Here's why: In order to be accepted, one must know the basics and pass a difficult entry exam administered by all of the Reactor Core schools (Hack Reactor, Makers Square, Telegraph Academy). I had no idea what I was doing, but after attending TGA's prep program, I was accepted into all of the Reactor Core schools. I decided to go with TGA because of its mission, student-to-instructor ratio, and its location (Berkeley is cheaper than SF). Leaving everything back home was hard, but the minute I stepped into TGA, I felt ready to get to work. There is an atmosphere at TGA that I've never seen. Its full of people that are passionate about learning and instructors passionate about teaching. The cofounders are awesome and what they have created at TGA is something like a unicorn. All-in-all, it was a great experience for me and my classmates. We all had fun together and created some really cool applications. If you're considering TGA, strap your self in and get ready to change your life. Joining Telegraph Academy was the best decision I've ever made. Reading the negative reviews on this site was surprising. I had no idea that people felt this way it wasn't something that people brought up in any way during the bootcamp, during which, there are many oppertunities to give feedback. As for the instruction team, THEY KNOW WHAT THEY ARE TEACHING. You don't need 10 years of software engineering experience to explain what a hash table is. Jamil, the lead instructor, hasn't worked for a start-up, true. But he has been TEACHING for a long time, and he knows how to code. PS. Preston, Bianca and Albrey all taught at Hack-Reactor when they had less experience than they do now. I chose to attend Telegraph Academy becuase I fully believe in the mission and wanted to learn how to code in an exclusive environment. I'm a minority, so I recognize the challenges I face entering a career in tech. I wanted to be part of the vibrant community of talented and strong engineers being built at Telegraph. I dont feel like I could have benefited from my educational experience the same way if I went to another school. I didnt want to be just another number being churned out by some of the other bootcamps, Telegraph's staff cares about each one of their students success and encourage student to reach their fullest potential. That being said this is not a program for people who just want to be spoon fed answers, or give up easily when things become challenging. I feel as an engineer one of the only things that will stay constant through out my career will be my neccessity to learn and grow. This is my biggest take away from Telegraph. It has helped me feel comfortable in a perputaul growth mindset. I gained the tools neccesary to find my own solutions and with the support from the staff the confidence that with hardwork those solutions will come. Every step of the way I felt the prensece of the staff checking in. At no point did I feel my view or opinions couldn't be heard. We were give the opportunity to provide feedback as we progressed through the course so that staff could evalute and improve upon the existing systems. I felt like this level of attention provided the sense that not only could I be contributing to my own learning process but hopefully contributing to the improvment of others down the line. I enjoyed feeling as though I was a part of building something special. Attending Telegraph Academy was one of the best decisions I've made. I was fortunate to have a cohort of like-minded indiviiduals who supported and challenged me to grow throughout my entire time as a student. I'm happy to say that I've become close with all of them and now have a network of talented engineers who I can share my experience with as we take on new endeavors out in the field. I highly recommend Telegraph to my friends on a regular basis. The only caveats I express to them before I go in about how awesome Telegraph is as a school and an experience is this. Are you willing to work? and do you love coding? Because with the work you will most certainly see the rewards and the work itself is rewarding if you love learning and love coding. i didn't pay hard earned money to be taught by former students who have worked on nothing in production. ask for the teachers' credentials from any bootcamp you go to and stay away from those who don't hire qualified teachers with AT LEAST ONE SOFTWARE ENGINEERING JOB. this is a joke. it's true that their instructors have no experience. only mark has had a real job out of the entire staff including the cofounders. African-Americans make up only 4% of people in software development jobs, and Latino/as make up only 5% of these jobs in the US (source). Coding bootcamps will graduate over 16,000 students this year and place them into jobs as developers at startups and enterprise companies. 63% of those coding bootcamp graduates are white. 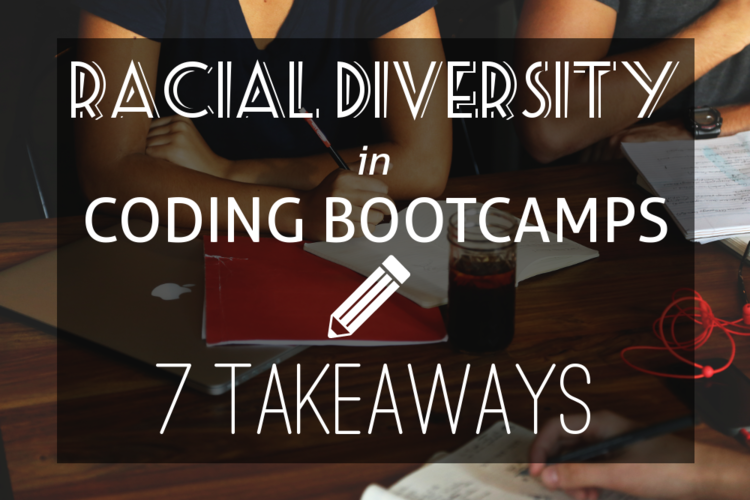 In this webinar, we're joined by code schools Turing, Sabio.la, Startup Institute, and Telegraph Academy to talk about racial diversity in bootcamps, why we should change these statistics, and how bootcamps can support students from underrepresented backgrounds. An email with these details has been sent to Telegraph Academy. You've already applied to this scholarship with Telegraph Academy.